The very last activity we had planned for the library makeover was a reading hour and grand opening. Sometimes Changemakers 365 and doing the doable doesn’t cost a penny – and this was one of those moments. We wanted to introduce the community to the new library space and get everyone excited about the new resources that were available. 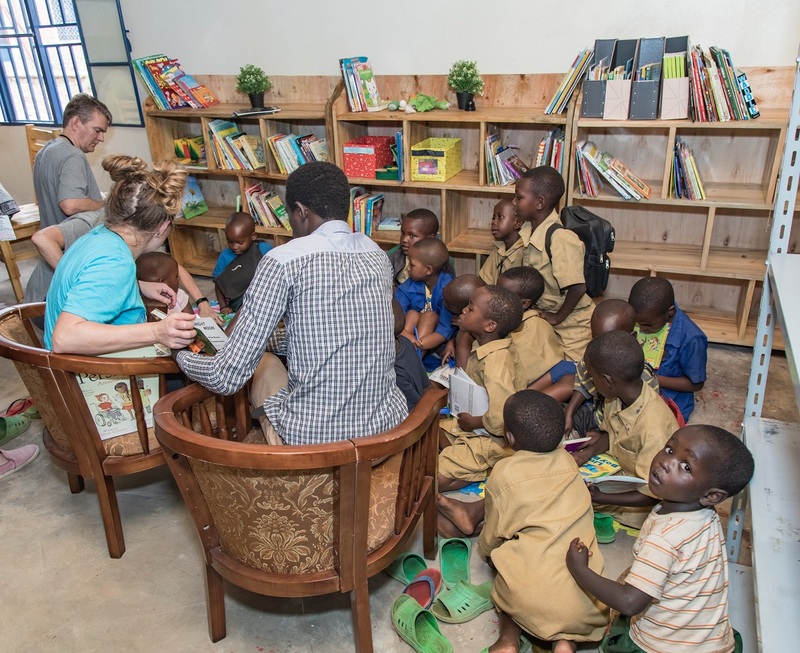 We also thought it would be a great opportunity to do some one-on-one reading and playing with kids in Nyabiheke – and give them some one-on-one time with adults that they might not otherwise get. Luckily we had a group of visitors from the U.S. there to do just that. 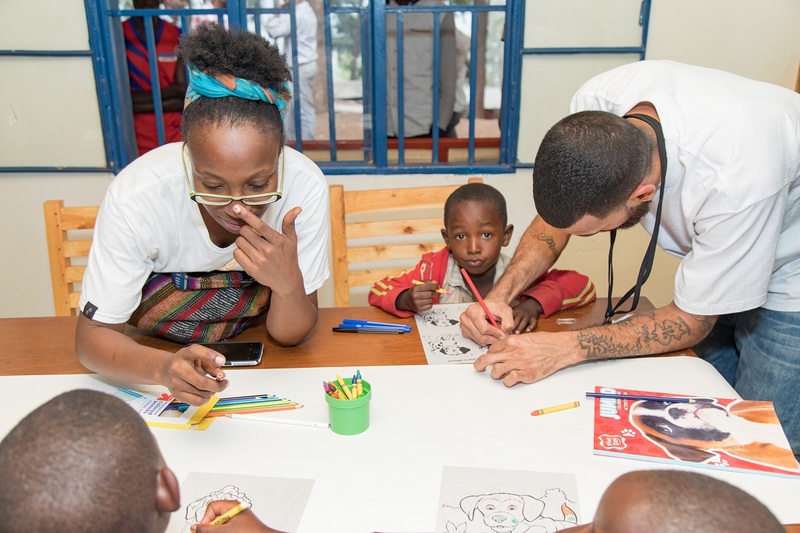 We opened up the library doors and kids, teens and adults came streaming in to check out the murals, look through the selection of books and play with some of the toys and art materials. Our U.S. visitors pulled some of their favorite books from the shelves and started reading to kids. A teacher brought his classroom of pre-school students and they sat in a circle listening to Where The Wild Things Are and other stories. A few kids laid on their bellies and played with the toy trains, while others grabbed crayons and markers and got to work. The idea is that this is just the start of change at the library. We can keep building and growing what is there for the community. But, if the library helps feed imaginations, grow minds and deepen bonds of community – these few small projects will have made a huge impact.